We are an easy going family of 4, two girls 17 and 16 and a little dog. We are very friendly and we like meet peolple coming from different countries. We like to live in open air, nature, sports , arts and music. We like also visiting cultural sites. We love good and healthy food and you will always find something healthy and tasty to eat, and if you are interested to learn Italian cookery I will be glad to teach you (such as home made pasta). 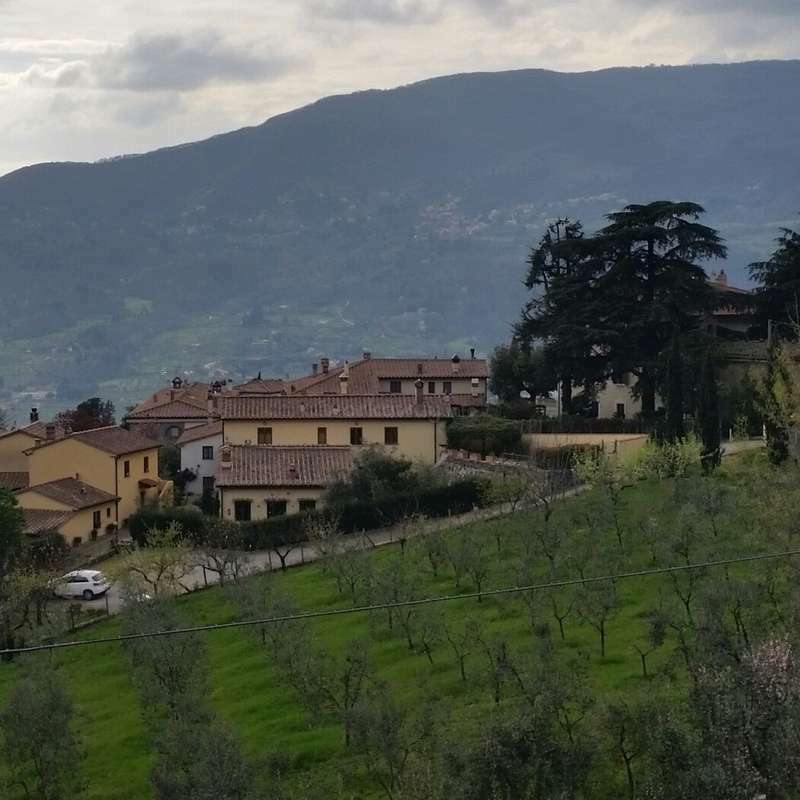 We live in a nice village on the hills near Prato (Tuscany), from where you can reach Florence (30 min), Lucca, Pisa, Siena or Bologna, etc. Or go for nice hiking up on the hills. Joining a real italian family athmosfer you will practice Italian language and you'll benefit a very good italian cooking. We look for someone who can teach English to our youngest daughter in a proactive and funny way. Possibly with teaching background. You will have your own apartament, so you will have a lot of privacy, however you can join us during the main meals and all the time you want. 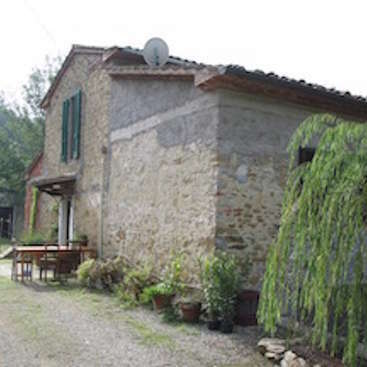 We live in a small group of houses on the tuscany hills, about 2 km from the main village (Vaiano), from where you can reach Prato by train (in 5 min) or by bus (in 30 min). from where you can reach Florence, Lucca, Pisa, Bologna etc. There is a bus at 700 mt that goes to the main village. If you like relax, nature, beautiful view, or walking around breathing the local life style this will be your place. 4/5 hours a day, 5 days a week. 2 days free. We hosted Elena only for 5 weeks (she should stay longer, but due to some family problem she must to go back to her country) and we are very sad for this! Elena is a very competent and serious teacher. Thanks to her our daugher Alessia improved her English a lot. She is very tidy and respectfull too! Our dog loved Elena a lot!!!! Thanks, Elena for… read more everything, wish you all the best. 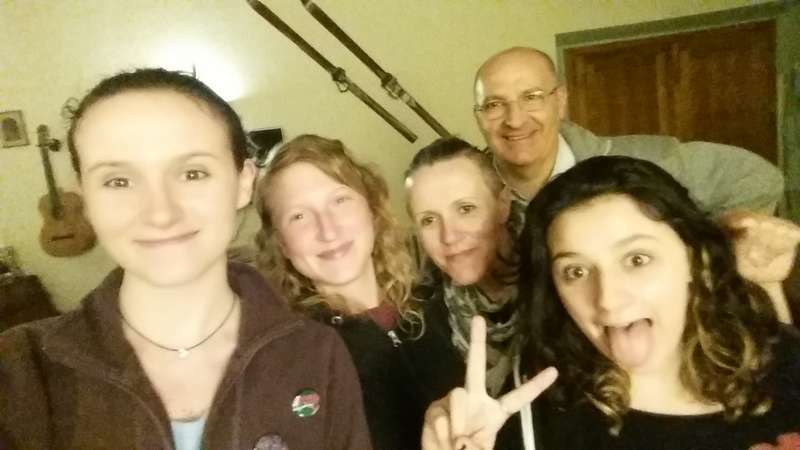 Erika, Alessia, Ercole, Viola and Riccardo. I spent 5 weeks with this very nice family! Erika is very lovely and she is always willing to show you around and to help you in everything!. Alessia works very hard on her English and she is improving a lot! A little dog Ercole loves to be taking for a walk! And in the garden are 5 beautiful cats too! I had a big lovely house all for myself and… read more almost all the day free! And it is only 30 min from Florence by train. Thank you very much, Erika, Riccardo, Viola, Alessia and Ercole! 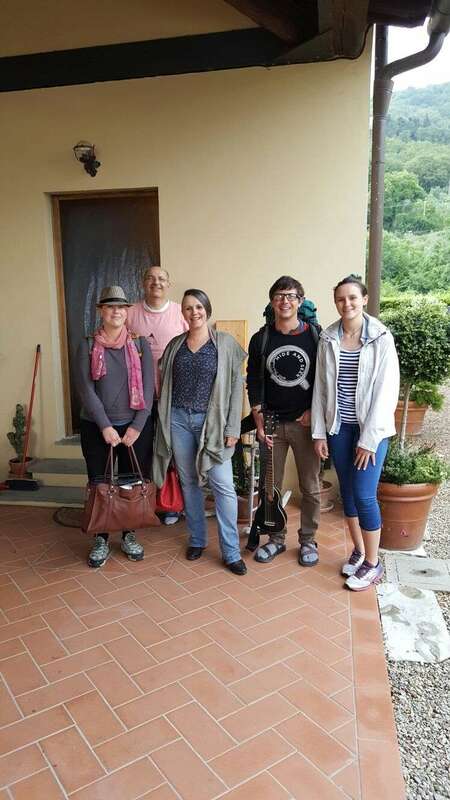 Erika, Riccardo, Alessia, Viola and..... yes, even Ercole (the family dog) made for such an enriching work away experience. They are a lovely family and I had the privilege of working with Alessia (who is lovely) over the summer in preparation for her English exams. I can honestly say they welcomed me in from the first day and included me in many… read more of the daily activities like I was a part of their family. The accommodations were wonderful and Erika is not only a top chef but even loves to pass on the knowledge of her passion for cooking. I was there to give instruction but in reality, I learned so much myself that I will always take with me where ever I go. For my first time in Italy, it definitely left such a positive impression that I will be returning to teach again and I hope to visit these lovely people who gave me the most unforgettable experience. Hosting Michelle has been a blessing to our family. She is a very kind woman, with a lot of skills. Full of energy and enthusiasm, a dinamic and open mind person and very professional too. She helped our dislexic daughter Alessia to improve her English in the most powerfull way. She is very special to us and we hope we can host her in the… read more future. Michelle you will always have a place to stay in Italy, hope to see you soon. Erika, Riccardo, Alessia, Viola and..... Ercole. Robyn is a very nice girl, respectful, clean and tidy. She has been very kind with all of us. Robyn: we all wish you all the best for your life. Jaun is a nice guy. He likes to learn italian cook and at the same time he cook for uas tasty spanish food!!!. He teach some basics martial arts to our daughter and this was fun and usefull!!!! It has been a good experience hosting him in our family. It's a beautyfull family with who I've learned fastly Italian language and italian food. I felt really respected and we did a good swap to help them at home and also to have time to search for work. Has been a gorgeous experience. Mike and Sofia are easy going guys. A nice couple very respectfull and friendly. Unfortunally we could not spend as much time togeether as it was sopposed to, but during the summer we had to change our schedule ( we had sone more hollydays. Jo and Murray are a very nice couple, we really enjoy them. Jo is a courious and funny woman, always smiling and full of interests. Murray is an excellent worker and loved take care of our dog . We had a lot of funny time together, playing dobble, go hiking mountains or enjoying dinner and lovely chats. They were very respectfull with the… read more apartment they lived in, keeping all clean. They helped us painting the walls and restoring the outside doors. We recomand them as perfect workawaiers. We want to keep in touch with you for sure.... we will came for WOMAD!!! This was a real positive workaway experience. The family certainly made us feel part of their lives with their welcoming ways. They live a busy life balancing work and leisure well. They often work alongside you with lots of energy. Erika amazes you with how she can handle all sorts of power tools and Riccardo makes electrical work look easy. … read more They give great advice on sightseeing and create wonderful opportunities that leave you with special memories. Erika's cooking is fabulous and we really loved the cooking lessons she gave us. We highly recommend this workaway placement. What a wonderful family in a beautiful place! I had an amazing stay with this sweet, warm & happy family, and each day was a pleasure being with them. 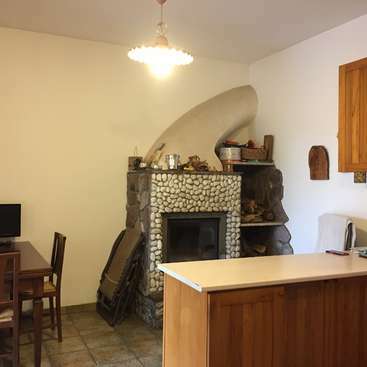 I helped them to paint a bedroom and bathroom, particularly the ceilings of this typical tuscan apartment with the wooden beams was a challenge for me and a new experience which I was proud to have… read more mastered! meanwhile this family included me in their daily lives and it was truly special! 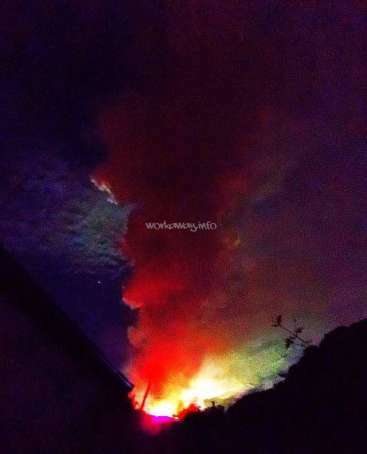 Vaiano is a paradise. Thanks for a memorable stay, I hope to see you next year. Teresa has been a very nice surprise. She stay in our home for 10 days, painting the badroom and the bathroom. She is a very interesting woman, with very strong behaviior and work ethic. She enjoy our family in many ways and we really love her way to be. Kind, sweet, hard worker, open mind, generous, and much more. We miss you! 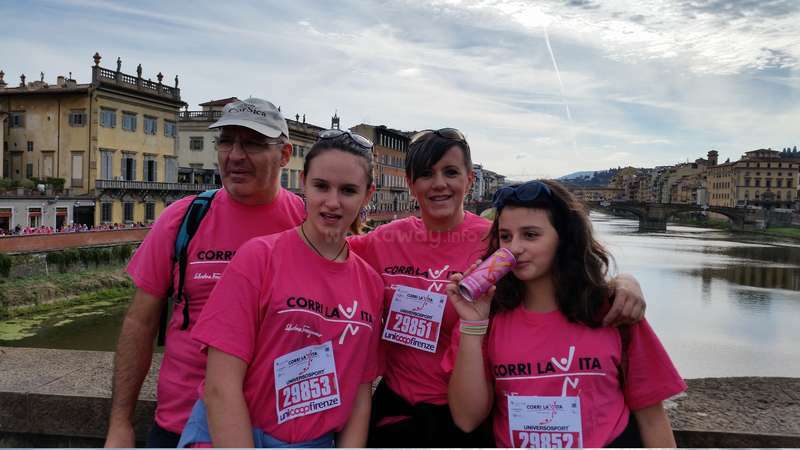 And hope to meet… read more you in Florence somedays! We have benn blessed to have the oppunity to host a nice couple like John and Tracy (and Sasha). They are very special. They don't only made a very good job, they realy enjoy our family and home. We feel as hosting very old friends or relatives. They were very nice with our 2 daugthers too. Tracy cooked for us nice traditional english dinner… read more and I really apreciate that. We will always remember the barbeque near the river and the last night in Florence. Jessica and his brother Nicholas stay in our family 10 days. They are wonderful people. As a parent I will be very pround if my two daughters will be like them, with a strong and heartful relationship/connection as they have. They are very good and hard workers, taking care in what they were doing. Erika's project involved scraping and sanding paint off her guest house doors and windows and repainting them. The work was easy and painless, and the guest house (which is your home during the stay) is beautiful and fully equipped; my brother and I were both stunned when we were told we got the whole place to ourselves. 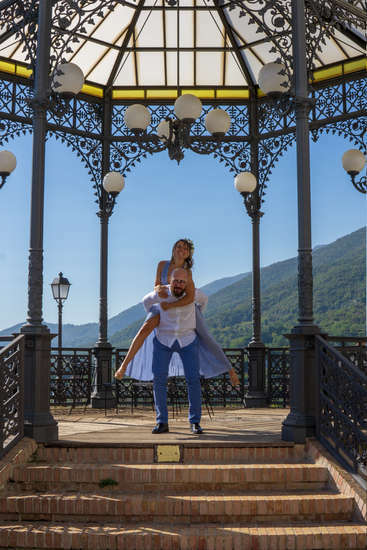 Erika gave us the option to do a few long days of work instead of short days all week, so we'd have some full days to visit neighboring towns in Tuscany, which are easy to get to from the station. Riccardo also kindly drove us to a couple of the towns when they were on his work route. In this way, we were also able to do a lot of sightseeing on this workaway. Sienna is exceptional and turned out to be one of our favorites. I'll wrap this up now and just say that we recommend Erika's workaway 100%. 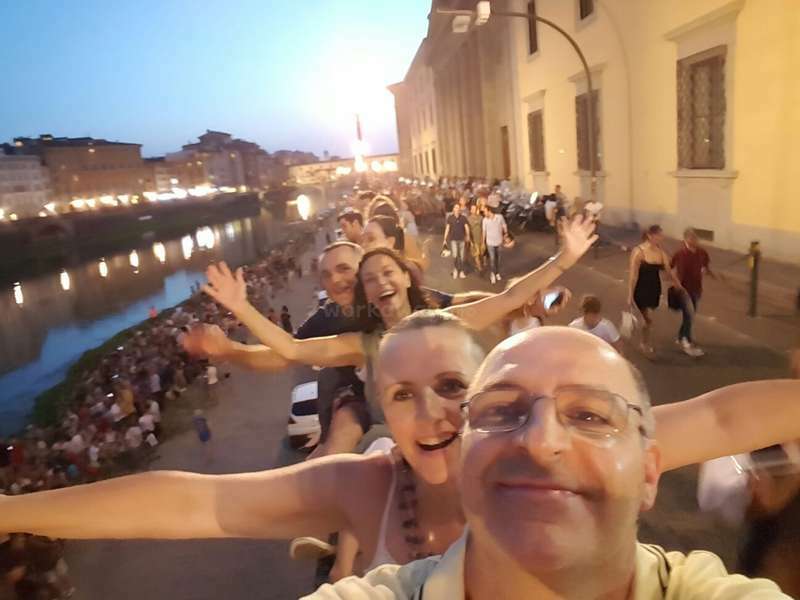 Riccardo is a great guy and a real hoot, Erika is super knowledgeable and kind-hearted, Viola is intelligent and sweet, and Alessia has a big personality and made us laugh a lot. They're one of our favorite families, and I hope Viola can come to America during her gap year. She'll have hosts in Montana. All of your family is invited! Thanks, again, so much for making our first workaway experience the best one possible. Brian and I were very fortunate to be workaways for Erika, Riccardo, Viola and Alessia. We were welcomed into their family with huge open arms and their warmth ensured we felt comfortable together very quickly. We enjoyed working with Erika on her project, she was very clear with what needed to be done and the jobs were very manageable. 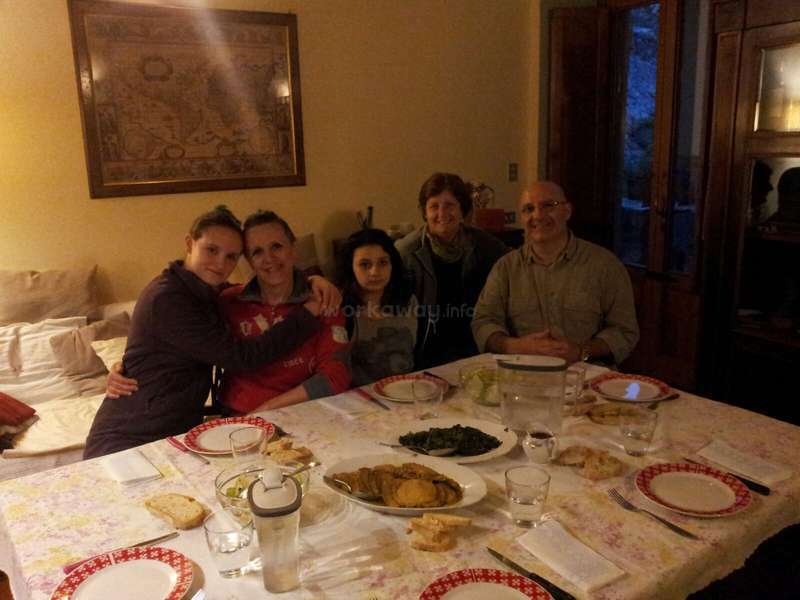 We loved… read more spending time with the family around the dinning table...Erika always served us delicious homemade food....sharing stories and laughter about our different cultural backgrounds. We spent a wonderful day with Riccardo, walking, high up on the mountain ridge, with fantastic views of the surrounding landscape and it was lovely to have some time with Alessia and Viola...both charming and intelligent girls. Within a short distance there are beautiful walks in the Tuscan countryside and the nearby town's railway station enables manageable trips into cities such as Lucca, Bolonga and Florence. We would dearly love to see you all in England some time....our home is your home. We had lovely time with you and Brian. You both are lovely, warm and friendly. 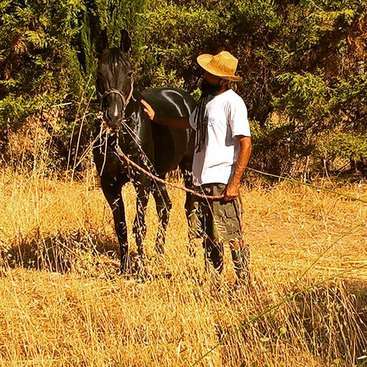 You helped me a lot in my project, and Riccardo enjoied your walk on the hills around our home. You both are serius worker, taking care in what you are doing. We all 4 hope to see you .... may be in England! I had the very best first workaway experience I could imagine! Erika and her family were very welcoming and attentive and integrated me into the family from the very first day. Restoring the windows and building garden furniture out of euro-pallets was so much fun with Erika, I personally wouldn't consider it work as I really discovered a new… read more passion ;-) The house, the area, the landscape and its surroundings is just breathtaking - even more stunning than I imagined Tuscany. It's like a little paradise! Erika always cooked delicous & healthy lunch & dinner and she taught me how to do homemade Tortelloni! I was able to play the piano and tried to teach some piano to Viola & Alessia, who are both adorable and interested girls. Feel blessed if you get the chance to stay with this family! I thank you 4 (+Herkule) for everything and really hope we meet soon again! BIG HUG! Jackie is a very nice girl. We really love her. .... Viola miss you so much.... you should be back!